I bought this car as a rolling body the week my oldest son was born. The agreement with the wife was it could come home as soon as the bathroom was finished. Another son, house renovations and life got in the way and the car got ignored for about 6 years. I did occasionally think about the car and put a plan into place. I saw an article in Street Machine mag about a guy who put an LH Torana front end under an EK Holden. 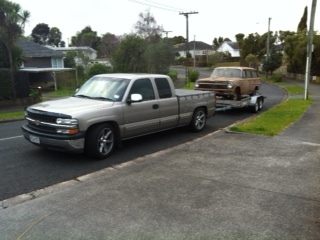 It didn't look too difficult and one turned up on trade me a couple of weeks later. 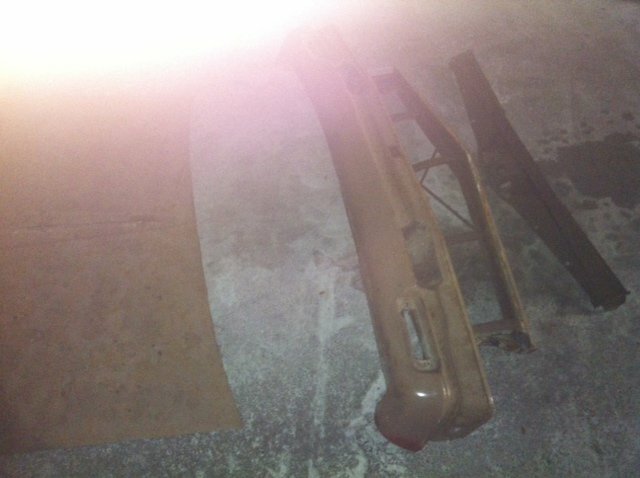 That was the start of buying bits to fix the car and a good friend came over and we ripped into it. 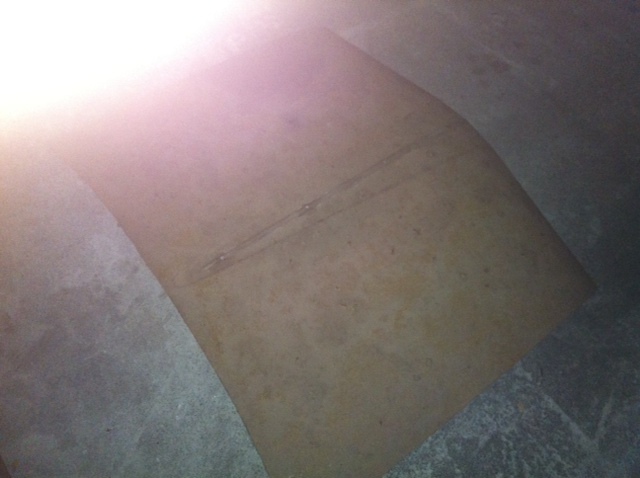 We found lots of good stuff, like the floor pans the were rotten and had sheets of steel pop riveted and braised in place. Thank you Holden for the built in rust traps of rubber flooring with sound deadening underneath to hold moisture and make rust. 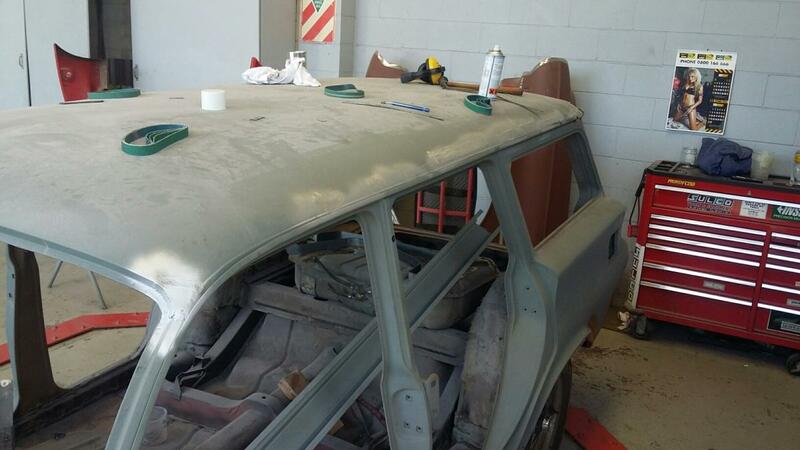 Amazingly the rest of the car and the usual rust spots are really good. 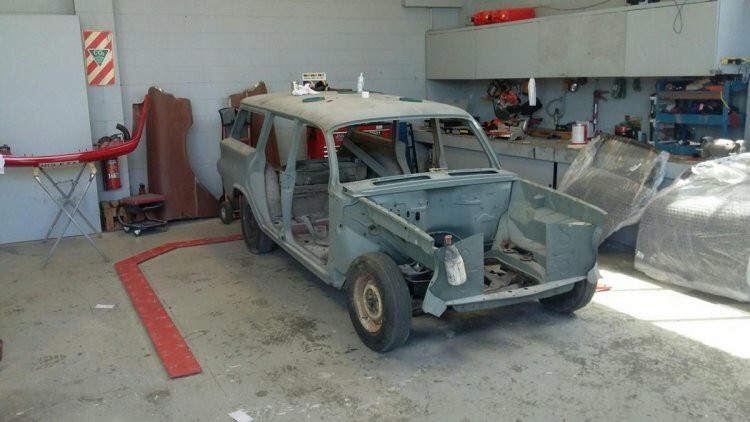 The car has been off the road since 1989 and that is what saved it. Back to the plan. The LH Torana front is in the car, there is an injected 5Litre from a VT commodore sitting on my engine stand waiting for the HQ sump and pickup to be fitted. The engine has a 4 speed auto with it. I found a narrowed HZ ute diff that is under the car. 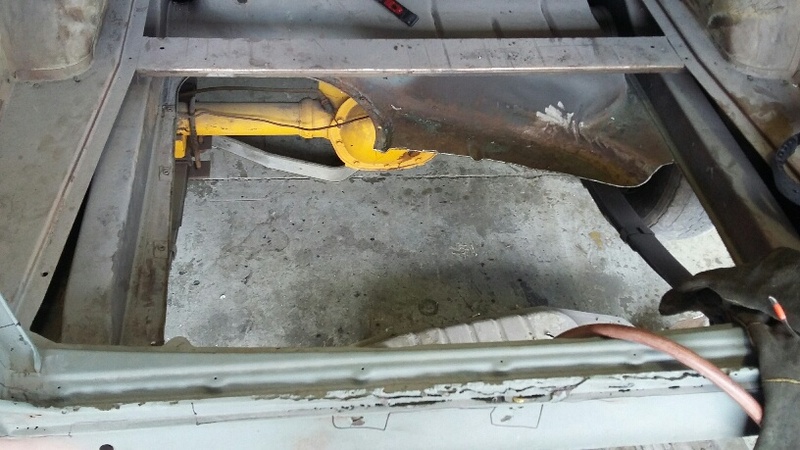 The steering column is out of a LC Torana, its the column auto one. In my world the right place for the gear lever with a V8 and auto is the column, especially with a bench seat. I'll jump now to where the car has got to. 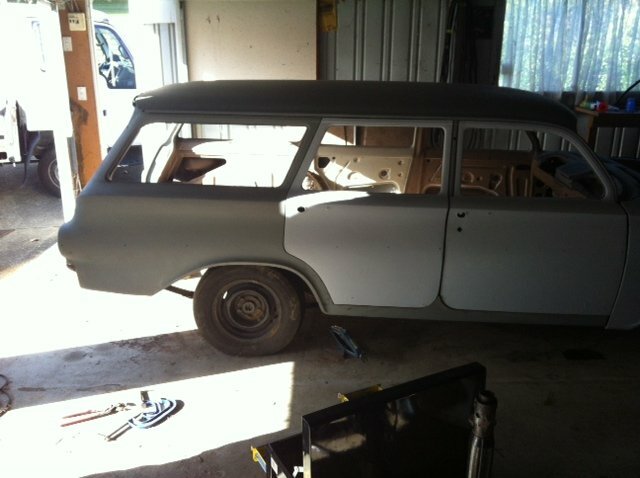 The body has been sand blasted. It would have been cool to have kept the original patina by it was rusting too much under the paint and the previous owner had got carried away with PA10 and a brush. The floor pans have been replaced, there is still some finishing to do, the trans tunnel might have to come out to get the 4L60E to fit. 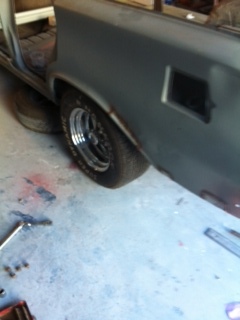 The Torana front is bolted in still with the Torana disks. The original 13 inch wheels are there to push it round on. It will get HQ disks and WB statesman callipers. The doors and guards have been panelled and primed. 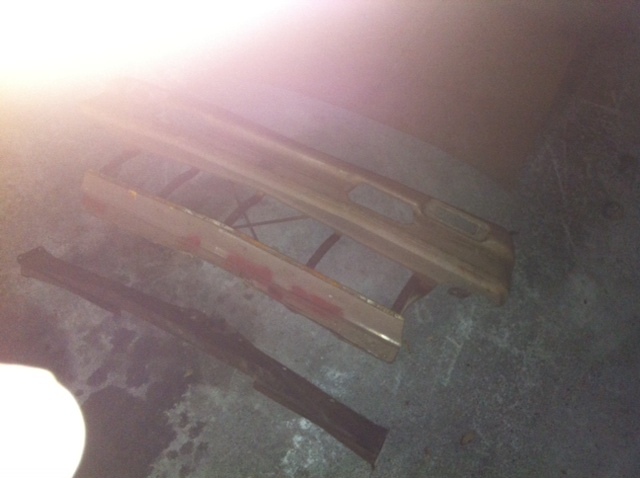 Next stop is the panel beaters, I have a new LHS sill to go on, the original is rotten and wavy. The new one was bent up by a crowd in Wellington and goes right through to the inner sill. I also have a new rear panel to go on. Like all EJ,EH Holden's the original was rotten, no paint from the factory. The factory cutout for the exhaust is gone to give me options for where the dual exhaust will exit. After a couple of months I finally spent some time on the car yesterday. 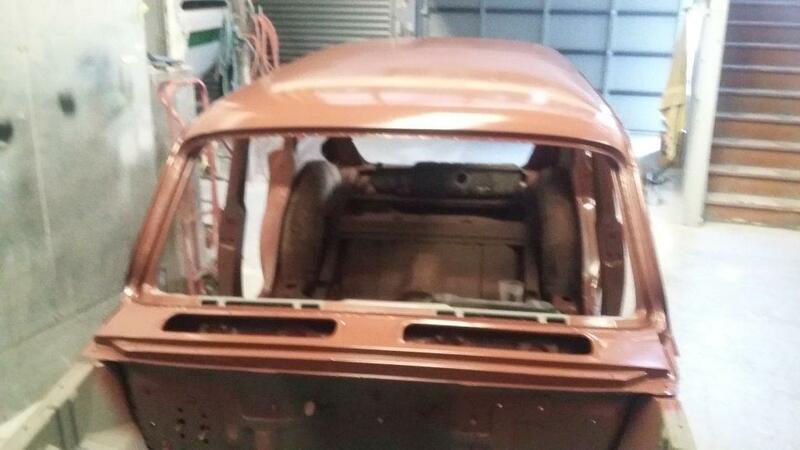 It really needs to get to the panel shop before winter, the car was blasted in December 2013 and has been in epoxy primer since then. It is in a garage but the air gets really damp when it is cold. Before the body shop I want the mechanicals done to the point where everything is mounted so that all cuts are cut and shuts are shut before paint. The fun part is figuring out the order so that nothing needs to be redone. Something that I keep relearning is how small these cars really are. 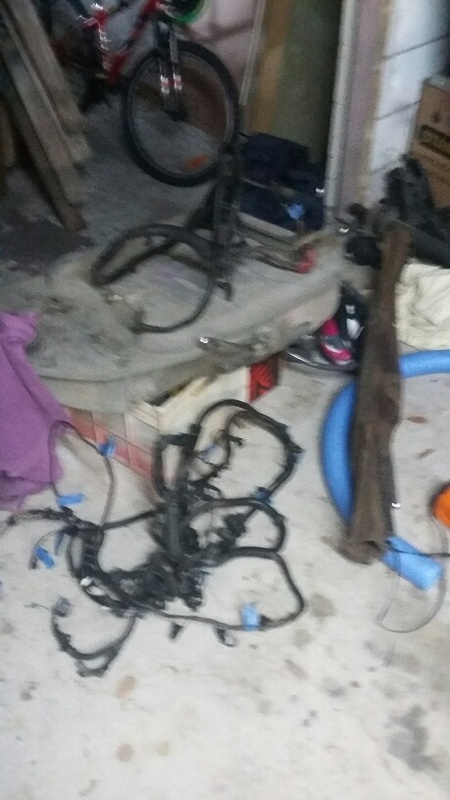 I stuffed around for a good hour or so figuring out where the steering column is going to fit. It is a juggle between having enough arm room, making sure the column shift wont hit anything and that everything at the bottom of the column misses. I thought I had it figured out until I decided to check that the pedals would fit. Of course not and the handbrake only make it worse. Back to the drawing board, the hard part is keeping the column break away intact in case of a big accident. On the plus side I have some budget again so time to start buying things again!! I will put up some photos soon. 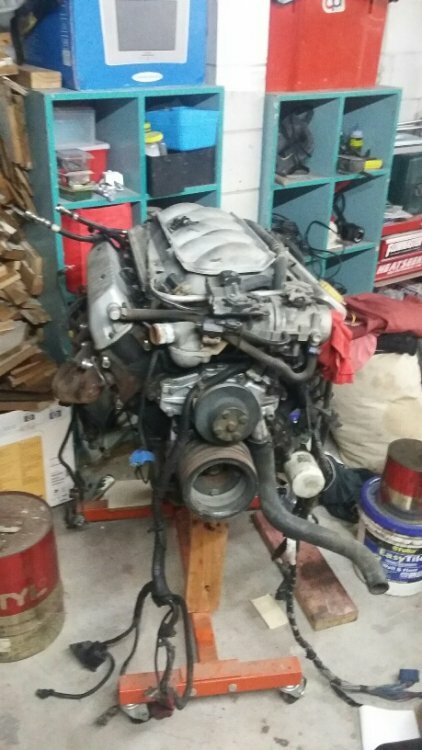 Finally got my act together and worked on the car today. 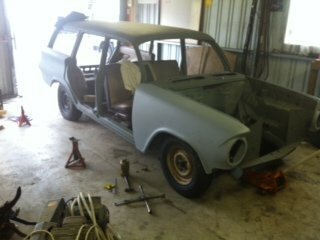 My brother in law gave me a hand and we go the doors bolted on ready for it to go to the panel shop this week. Amazing what some doors do to the look of the car. I also played around with the front brakes. I was given a pair of callipers that apparently came off WB holden. They are PBR and all cast iron. 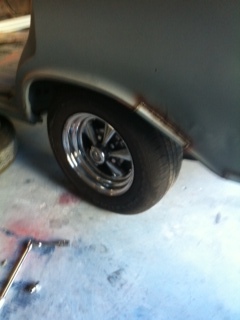 They also don't fit on and LH Torana front end. 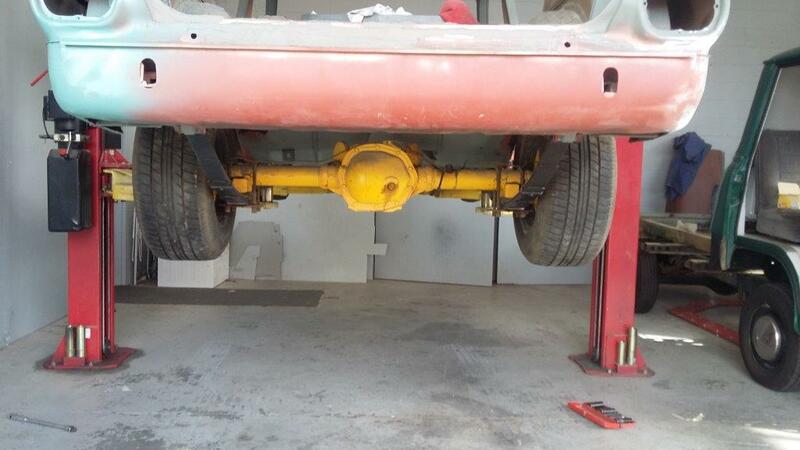 The Aluminium body callipers that the HZ's got are the same as a UC Torana with a bigger spacer in the middle. I have a set on the front of the Firebird that may have to be given a new home. 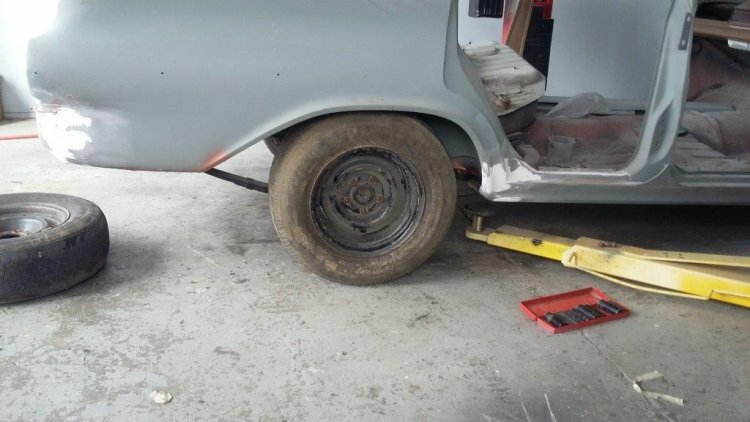 I have been looking for an excuse to buy the reproduction GM 4 wheel disc conversion for the Firebird and this might be it. I keep forgetting how small this thing is and how light the doors and guards are. Not having side intrusion bars, sound deadening and all the other modern crap like air-conditioning and electric windows makes a huge difference. Today I played Hookey from work and got the car over to the panel shop. Managed to dodge the rain showers and only get a little bit of rain on it. My wife came and helped with the pushing around and winding the winch on the trailer. With the stress of the weather I forgot to take any photos. I will go down to the panel shop tomorrow if I get a chance and take a couple. Heres a couple of photos from the other day when I go the doors on and the threaded rod in to hold the front suspension up. It's got the 70's nose down thing going on big time. I swung by the Panel Shop to get a couple of photos to prove that the car has moved. Time to get the bonnet and front panels stripped of the should be shiny bits and off to be blasted. I keep forgetting how small these cars really are, especially now there is some space around it. 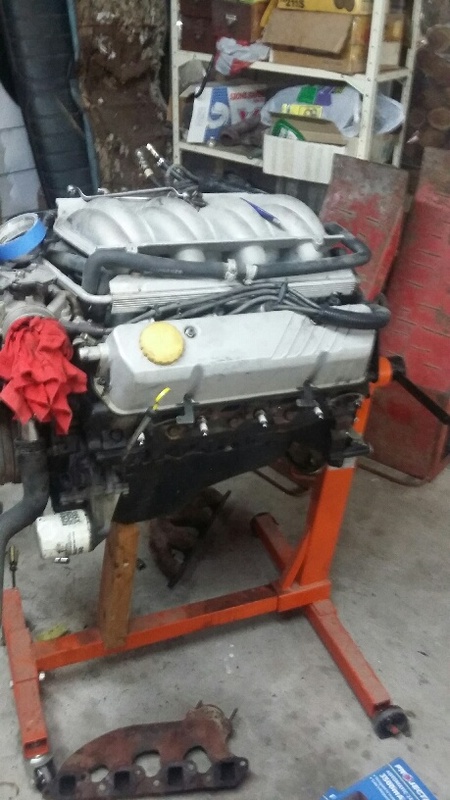 Lastly I have bought a modified chip for the VT 5litre I have to go in from a Guy named Tony off trademe. The big thing is the chip has the VATS disabled. The tune should take the motor close to HSV specs. This should be fun, 190 Kw in a car that weighs 1200 kg with 215 tyres on the back.. 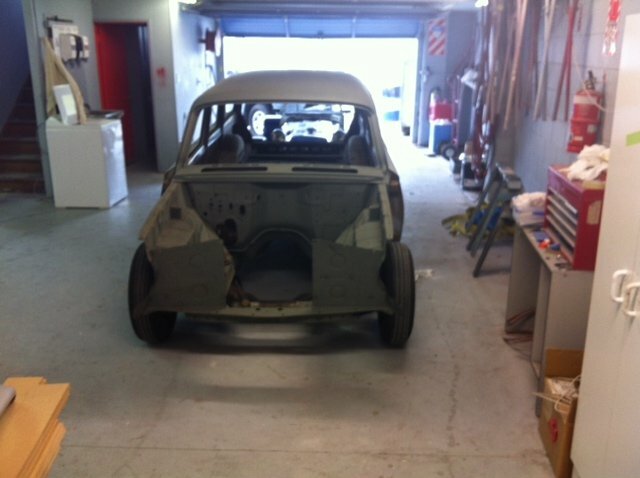 I went down to the Panel Shop yesterday to have a look at progress. 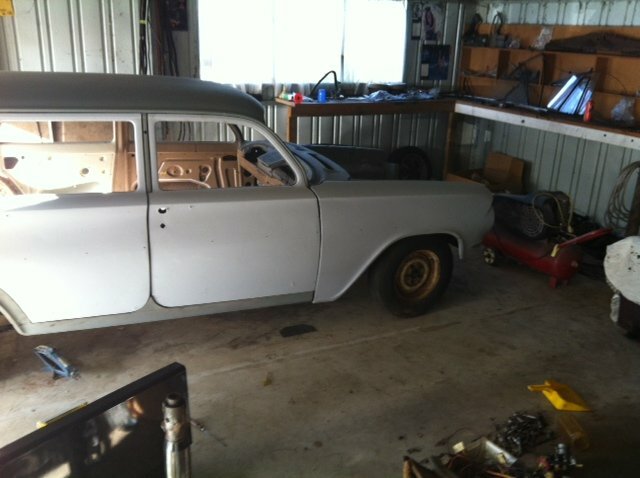 They have started with the rotten rear section, all the cavities that Holden never painted from new. Some nice work being done, I did have to remind Phil, the guy actually doing the work this is not a show car and the underside will get a nice thick coat of underseal. Has to be functional, not beautiful. It makes a huge difference being able to walk around under the car on a hoist, much better than on your back while is on jack stands. The ETA for finishing is a couple of months, this is their fill in job to keep the costs down for me. I promise photos next time I go for a look. A bit of progress. 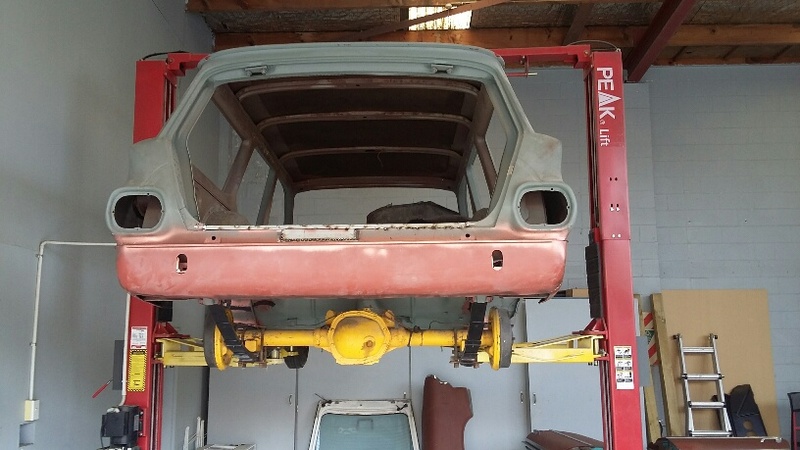 I picked up the last panels off the car from the shed in Glen Innes and brought them home. 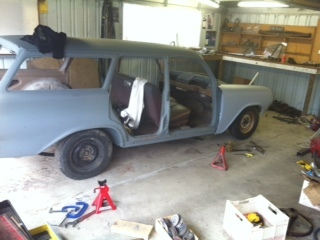 The trim has been stripped off the bonnet and front panel and will be going to the blasters tomorrow. I'm hoping not too many holes come back. Small progress, I picked up some new disc rotors and wheel bearings from Supercheap last week. I picked them up today after getting 6mm machined off the discs and all being well, will fit with the HQ calipers I found. While I was out and about I stopped in to the panel shop to check on progress. 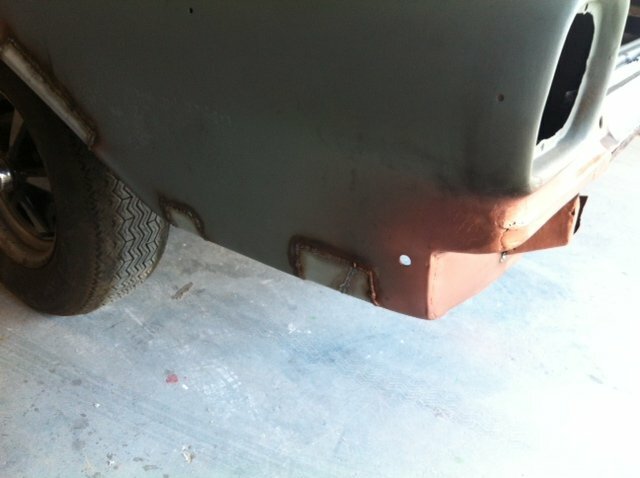 Most of the work has gone on under the back of the car so photos don't show much. 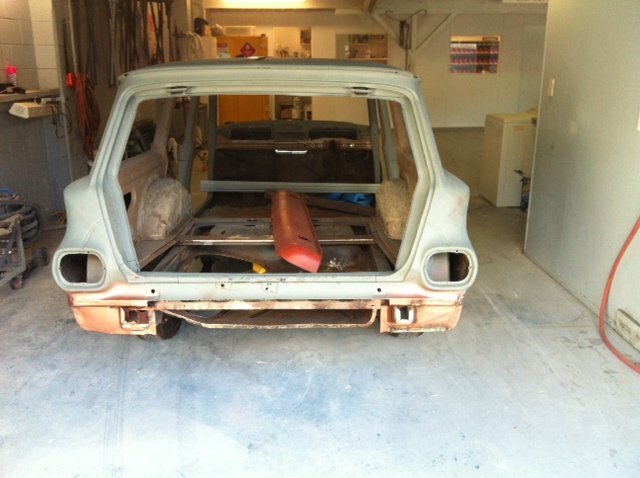 I got given the hurry up to procure the commodore fuel tank and boot floor. Time for a trip to Zebra Dudes wreaking yard. Just realised that the car is in the same spot from when I dropped it off. Last time I saw it, it was up on the hoist. So much better for working underneath. Some slow progress. I have been looking for a VS commodore fuel tank. I ended up getting a damaged one to use to mock up the boot floor, Thanks Zebra Dude. This means that the panel work can carry on. The tank is going in backwards so the filler ends up on the right side. If any one has a VR or VS tank I need one. I had the wells off the Firebird so I took a couple down to try for size. The one off the back fitted OK, 8 inches wide 245 tires, some smaller tires will be the trick. The 7 inch ones off the front with 205 tires looked lost. Just realised that there have been no updates for a while. It's getting close to the end of August and the car hasn't really changed since the photos above. Best thing is there is still money in the bank so seat belts will get ordered this week, HQ 3 row radiator picked up and stuff like shocks bought. 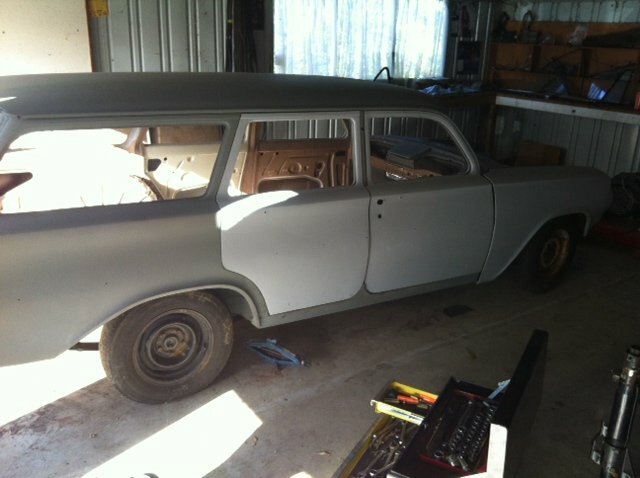 Goal is to have it ready for the Beach Hop next year. Amazing how fast time fly's by. 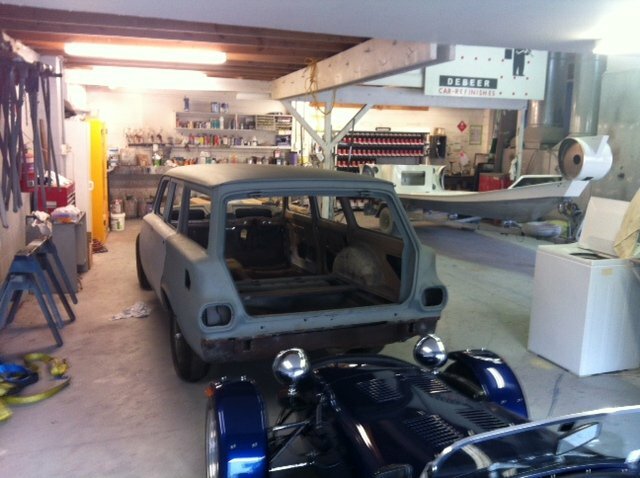 The pile of parts in the garage is getting bigger, other progress on the car has been just about zip. Clint (aka Cletus the certification guru) had a look at the car this morning. Good news is that fundamentally all is on track and he gave me the right steer on mounting the seat belts. This was the bit that worried me the most and will actually be one of the easier jobs. Progress today. 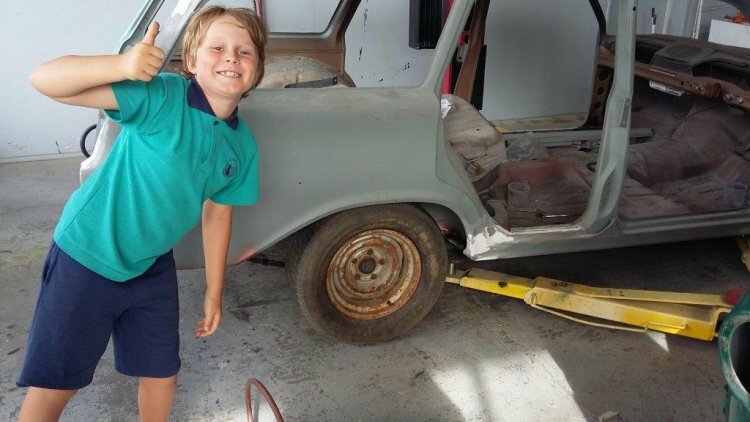 Trevor, the panel beater was getting really embarrassed about how long the car has been in his shop. It got moved onto the hoist Friday with the promise that there would be progress. 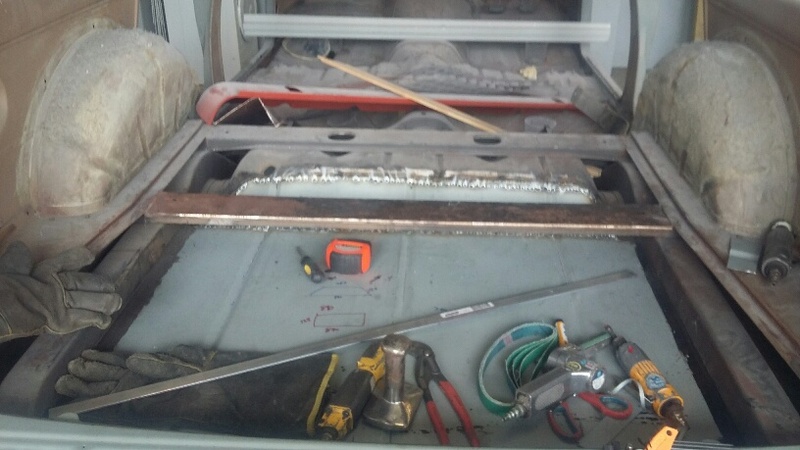 This morning I went down and we started mounting the new fuel tank. Trevor had one idea on how it would fit and I had a different idea. What we ended up was a third idea that ended up being better than I had envisaged. The tank is well up, perfect for getting the car down low, and well forward. Everything misses and there is space to run dual exhausts. The only issue is the space for the spare wheel has gone unless anyone knows where I can get a space saver with HQ stud pattern. No matter, I've only had to use the spare tire twice in the 30 something years I've been driving, and the last time was 20 years ago (could be tempting fate). I'll get photos up tomorrow. New Floor in place. No more spare wheel, plenty of space for dual exhausts. Good to have the priorities right. Since it was such a crap day outside I thought a bit of garage time was in order. One of the jobs I had been putting off was stripping the wiring loom of the motor. 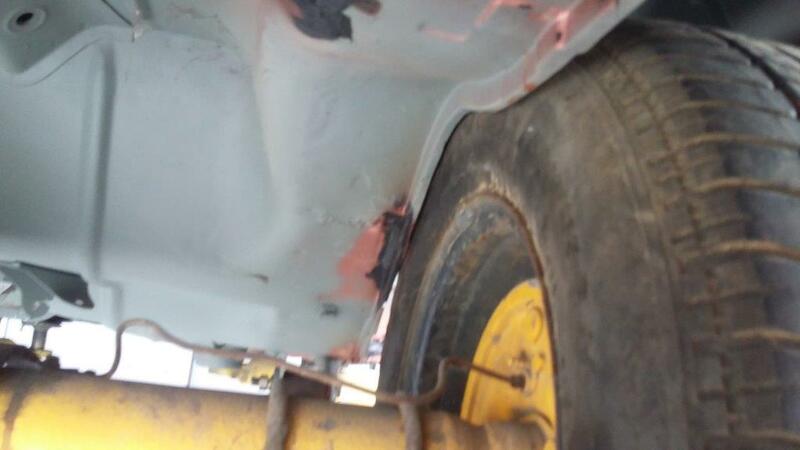 After slowly taking things off and managing not to break anything major I found something that looks more like a 308. And here is a couple of miles of spaghetti, one loom on the tank and the other on the floor. Once I got into it the wiring loom doesn't look so bad. There is some stuff that will get removed and a few bits that can be simplified. Next stop finding a decent copy of the VT wiring loom that I can get printed off in A3 size. A long overdue update. 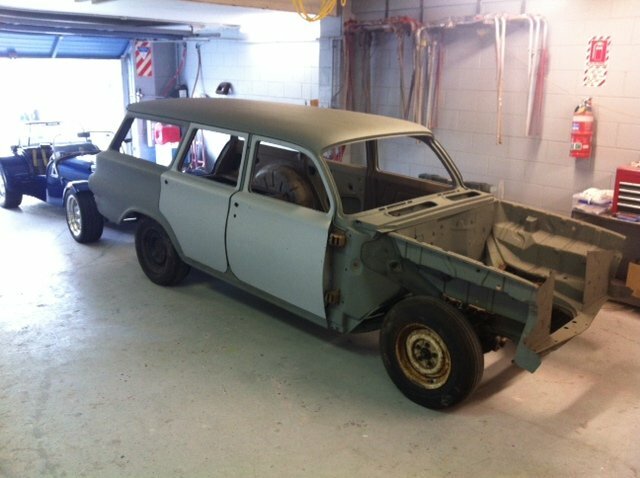 After many promises of the Holden will be next to be finished at the panel shop there has been big progress over the last couple of weeks. Trevor the owner of the shop has been doing most of the work and now 90% of the cutting and welding has been completed. Here is a couple of photos that really don't look that different from while ago. 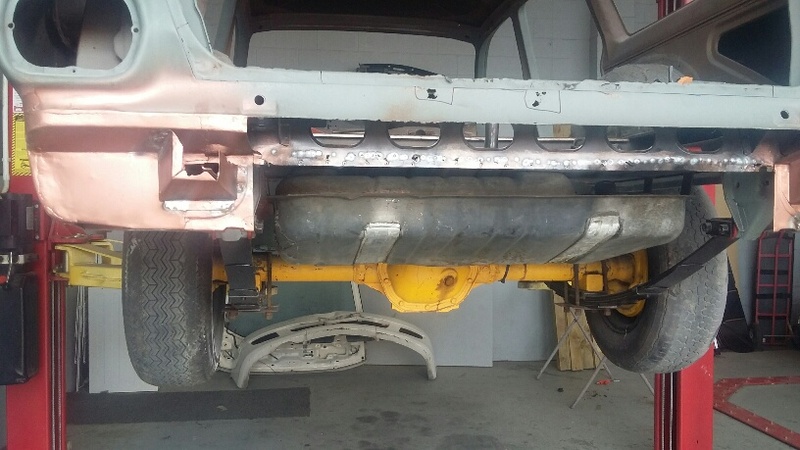 I guess the great thing is that when its finished I know that all the rust is gone and it will be fill with fish oil so it wont be coming back any time soon. There has been slow progress since the last update. 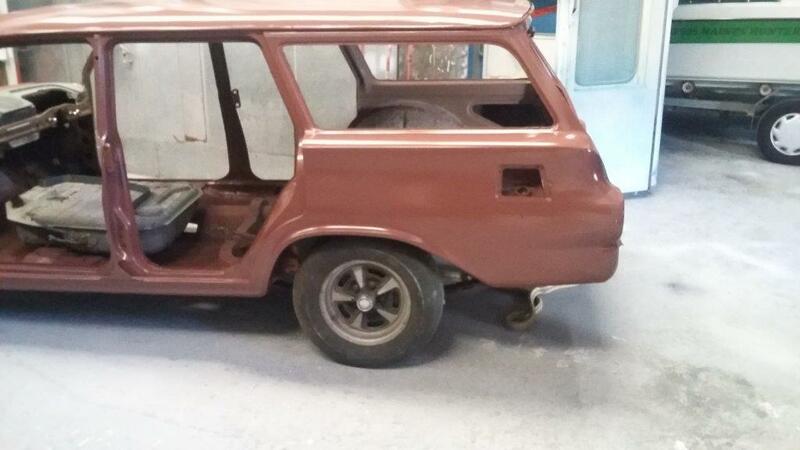 The panelbeater has been chipping away at the rust and it pretty much all gone, replaced with new steel. 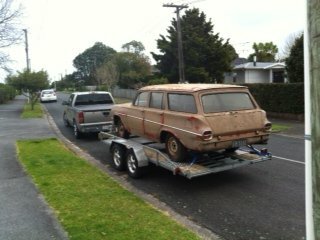 I bought a set of widened HQ holden wheels off trade me and picked them up today. There are 2 which are 7 inches wide without tires and 2 8 inches with tires. I'm hoping that the 8s will fit, they have a massive 5 inch back space and clearance could be an issue, or they could be bang on. Here's hoping. I'll go to the panel shop on Monday and see how they go. At the very worst the 7s will fit and the tires should be the right size 225/65/14 and they look almost new. Photos when they are on the car. 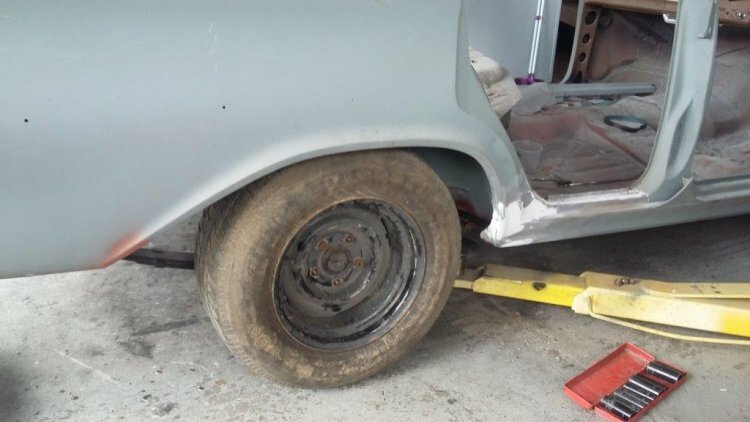 I did put on one of the 7 inch rims which looks like it will be OK. I'll one tire swapped over and bolt it up, fingers crossed. 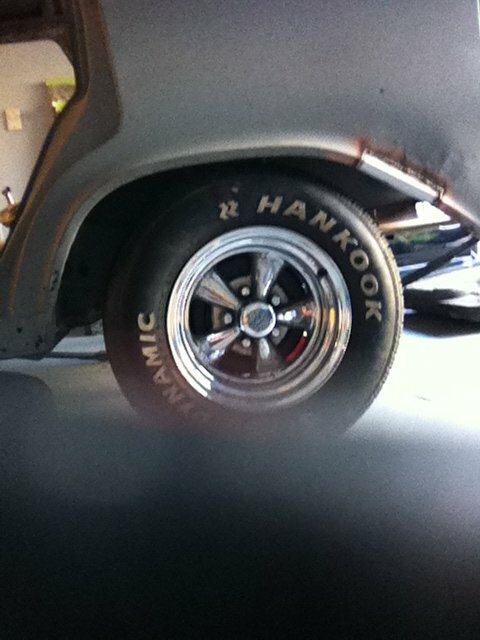 Anyone want to buy a pair of 8 inch wide HQ rims, they will fit under the back of a HQ-HZ. Got one of the tires swapped over to a 7 inch rim and bolted it up this afternoon. Perfect, not a lot of space, but clearance everywhere. I'll get the wheels powder coated and it will all be beautiful.